Senator Robert Singer, R-Monmouth/Ocean, slammed “The New Jersey Health Benefit Exchange Act,” approved by the Senate today. Legislation sponsored by Senators Bob Singer (R-Monmouth, Ocean) and Richard J. Codey (D-Essex, Morris) that aims to implement a “Yellow Dot Program” to provide emergency responders with vital health information about motorists at accident scenes was passed today by the full Senate. Paramount legislation by Senator Bob Singer and Senate Republican Leader Tom Kean to increase fines on drivers who illegally pass school buses was unanimously advanced today by the Senate Transportation Committee. 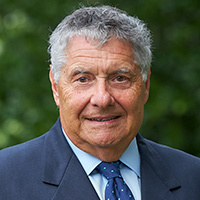 Senator Robert Singer, R-Monmouth and Ocean, humbly accepted today Deputy Republican Leader John F. Amodeo’s invitation to join the bipartisan Aviation Caucus, charged with a uniquely important role in developing this state’s economy. “Air transportation results in direct economic benefits, in terms of jobs, tourism, finance and trade in our global economy,” Singer said. 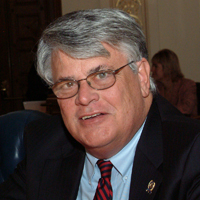 Senator Robert Singer (R-Monmouth and Ocean) said a plea deal reached in a case of senseless killings of innocent bystanders in Elizabeth is an egregious example of why the death penalty should be reinstated in New Jersey. Senator Robert Singer (R-30) praised a jury conviction today of Jahmell Crockam, who killed Lakewood Police Officer Christopher Matlosz in the line of duty last year. President Obama should not consider giving any assistance to Portugal as long as it continues to shield violent American fugitive George Wright, 30th District Republicans Sen. Robert Singer and Assemblymen Dave Rible and Sean T. Kean said today. Legislation sponsored by Senator Robert Singer (R-30) which would require the Commissioner of Health and Senior Services to convene a planning summit to examine an expected shortage of physicians practicing in New Jersey has been approved by the Senate Health, Human Services & Senior Citizens Committee. 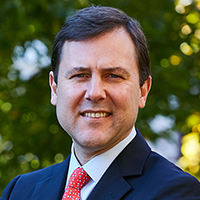 Legislation sponsored by Senator Robert W. Singer (R- Ocean/Monmouth) seeking to prevent student-athlete deaths from cardiac arrest has been reported favorably from the Senate Education Committee. “Janet’s Law”, S-157, would require that all public schools, non-public schools keep Automated External Defibrillators (AED) on school grounds, and that an individual trained in the use of the devices is present during student sporting events.